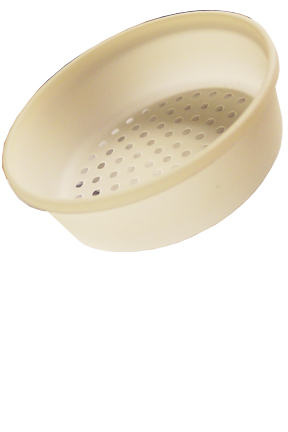 Disposable Strainers For Sink Drains. 100% Biodegradable. Prevent clogged sink drains with this environmentally friendly sink strainer. It fits perfectly inside standard sized sink drains so that it is flush with the bottom of your sink. This means that even the smallest food particles will be collected in the strainer basket. Despite being made entirely of corn starch, the Sink Strainee is surprisingly rigid and durable, yet remains totally biodegradable. Use it just once and discard it, or use it over and over again for up to 2 months. Once your Sink Strainee is sufficiently yucky from catching all of that gross stuff that normally flows down the drain, just toss it away. It will completely biodegrade in less than five months time, or far less in optimal conditions. You don't have to feel bad about using a disposable product, because this one doesn't cause any damage to the environment. It is harmless if ingested by animals and because it is only made from corn starch, it won't effect any other portion of your environment either. Each package contains 6 Strainees, and is a great value at such a low price with free shipping on any quantity. Discover a more hygienic way to prevent clogged sink drains. Most people are familiar with using disposable products due to the many benefits like convenience, cost, hygiene and more. Traditional sink strainers are made of metal or plastic and tend to be used for years and years. This means that you are accumulating years and years of caked on debris, bacteria and germs due to continued contact with food and other particles. The Sink Strainee is a much healthier way to go because you are able to discard the strainer any time it looks yucky, or has been sufficiently used. Most people will go through the trouble of cleaning their normal sink strainers periodically in order to make them nicer to look at as well as extend the life of the product. This is a pretty gross job that is completely eliminated when you start using Strainees instead of your standard strainer. This makes Strainee the more hygienic and lower maintenance option. It is extremely effective, easy-to-use, and will allow you to touch less disgusting stuff. Toss after one use or whenever you feel the need. These disposable sink strainers are a very effective way to catch particles and debris that would normally be washed down your drains. Never again will you have to deal with clogged sinks, stinky messy clean-ups or bacteria from your old sink drain strainers. You wont be forced to undertake the nearly impossible task of scrubbing tiny food particles out of a stainless steel mesh strainer either. Strainee is hot water safe and very easy to clean. 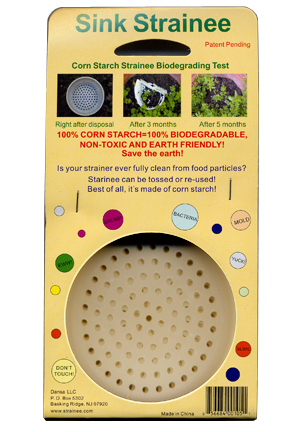 Since it is constructed entirely from corn starch, Strainee will decompose in five months or less once you toss it out. 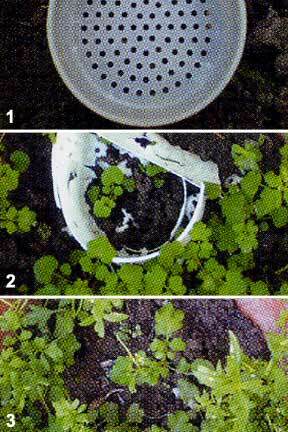 If snails eat Strainee after disposal, it takes just a month for biodegrading. You can imagine how long it would take to degrade a stainless steel or plastic strainer. These traditional versions will be around long after we stop using them. The Sink Strainee is a low cost, hygienic and environmentally friendly method of drain clog prevention. Remove any existing strainer or drain stopper so that the drain is completely clear. Then just pop the Sink Strainee in your drain. It will fit securely, and remain in place until you remove it. It is designed to fit standard sized sink drains and will sit down in the drain so that the top edge of Strainee is flush with the bottom surface of your sink. That's all there is to it. Dispose and replace as needed. Order Yours Today! Sink Strainee - Prevent clogged drains and refrain from touching all of that yucky stuff that is collected. 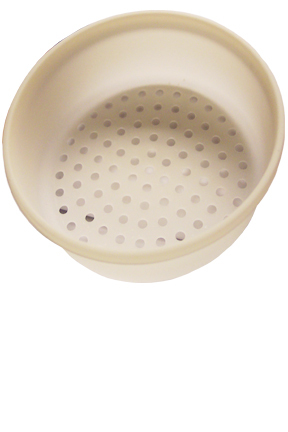 This environmentally friendly sink strainer is totally disposable and 100% biodegradable. These are the best environmentally friendly items I have ever seen. Made from cornstarch once they start to get ugly just throw out. Great to eliminate bacteria in the sink. They are durable and can even scrub them to clean until you are ready for the next one. They are not easy to find so I was glad to find them Simply Good Stuff. I use these all the time now, no more mess! I do not have a garbage disposal and don't want to clog my dishwasher with cleaner a sink strainer, so I use the disposable version. They can last quite a while, maybe even a week sometimes just by dumping out any contents and re-using. Some days I don't care and just toss them. They are so affordable you can do that. Perfects solution for a gross problem. GREAT PRODUCT. MUCH BETTER THAN THE METAL SINK STRAINERS THAT GET REALLY DIRTY AND MOLD UP.THESE LAST LONG AND CAN BE RINSED OUT TO REUSE OVER AND OVER AGAIN.I ORIGINALLY THOUGHT THEY WOULD DETERIORATE QUICKLY BUT THEY LAST FOR OVER TWO MONTHS WITHOUT ANY DEFICIENCIES FOR THEIR PROJECTED USE.BUY A SIX PACK AND QUIT BUYING THE METAL STRAINERS.you will be glad you did. Cut Small Pieces In An Instant. A Dog-Shaped Slicer And Serving Tray. Named For It's Teeth. Use On Smooth Or Fuzzy Produce For Improved Results. A Dual Blade Swivel Peeler Made In Switzerland. Super Sharp And Lightweight.